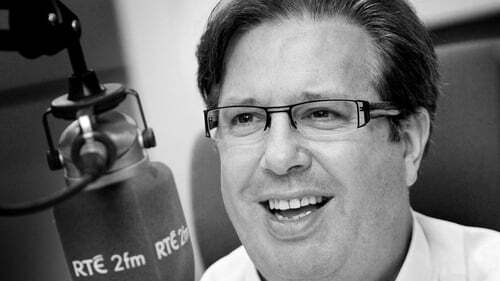 The inquest into the death of RTÉ broadcaster Gerry Ryan has heard that traces of cocaine found in his system were the likely trigger for a cardiac arrhythmia that resulted in his death. Pathologist Eamon Lean, who carried out the post mortem examination, said that Mr Ryan's heart was normal. However, traces of cocaine were found in Mr Ryan's system during toxicology tests carried out at Beaumont Hospital and the State Laboratory. He said that alcohol levels in Mr Ryan's system were nowhere near the level that would cause complications. Questioned by Barrister Brendan Grehan, Dr Lean agreed that the levels of cocaine detected were 'low'. Dr Lean said the presence of myocarditis in Mr Ryan's heart suggests previous use of cocaine, but he said it could also be as a result of a previous viral myocarditis. He said the presence of myocarditis, which is an inflammation of the heart muscle, meant Mr Ryan was at risk and that even low levels of use of cocaine could have an effect. He agreed with Dr Farrell that the use of cocaine was a 'significant risk factor' in Mr Ryan's death. Dr Lean said that cocaine is an unpredictable drug that does not have to be taken in high dosages to have a severe impact. Mr Ryan, 53, was found dead at his apartment at Upper Leeson Street in Dublin on 30 April. Earlier, Melanie Verwoerd, the partner of the TV and radio presenter spoke at the inquest. Melanie Verwoerd said that the pressures of finalising his separation from his wife Morah, as well as enormous pressure from RTÉ and his work, had begun to take a toll on Gerry Ryan. She said that he was constantly waking in the middle of the night, sweating and feeling very unwell. Ms Verwoerd said she was 'incredibly' concerned about him and he had told her he was 'totally banjaxed' and felt very tired. She said the pressure Mr Ryan was under was never openly obvious to people as he was a 'showman'. He would give private signals to her during social events when he was unwell and had to leave. She said this was a fairly common occurrence. Ms Verwoerd said that changes in sick leave policy in RTÉ had resulted in Mr Ryan feeling he could not take time off work even though he was unwell. Speaking after the verdict, Ms Verwoerd said the toxicology report on his death came as a huge shock to her. Ms Verwoerd said Gerry Ryan had promised her he would not use drugs and she said as far as she knew he kept that promise until the night of his death. Several witnesses at the inquest said he was in good form and enjoyed a meal in Town Bar and Grill and a few drinks, before going home at around 10.45pm on the night before his death. Ms Verwoerd described finding Mr Ryan's body on the floor of his bedroom, lying wrapped in bedclothes beside his bed. She said it was immediately apparent he was cold and stiff and had been dead for some time. Mr Ryan's wife Morah and his son Rex also attended the inquest, along with colleagues from 2FM. Mr Ryan's GP, Dr Tony Crosby, said that Mr Ryan was suffering from 'severe stress and anxiety' as a result of a number of factors. He said he had seen Gerry Ryan on 22 April, just a few days before his death. Dr Crosby said he had prescribed some drugs to assist with his condition. He said he was normally very open and forthright about how he was feeling but made no complaint about chest pains. Dr Crosby said Mr Ryan had told him he was not sleeping, was feeling very stressed, and was quite anxious. Morah Ryan appealed to people under stress with pressures or worries of any kind to seek personal support and professional help. In a statement released after the inquest verdict, she said that, even as a communicator, Mr Ryan struggled. She said: 'If today is to mean something, it is to offer encouragement. If it is to have a message it is that there is always someone to share your problem with, someone to offer professional advice and someone to shine light into your life when you need it most. In a statement this afternoon, RTÉ said it wished to acknowledge its sadness at the sudden loss of Gerry Ryan earlier this year. RTÉ extended its sincere sympathies to Gerry's wife Morah, to his children and family, former colleagues close friends and partner Melanie Verwoerd.